Thoughts That Go Bump in the Night: Just the FAQs, Please! 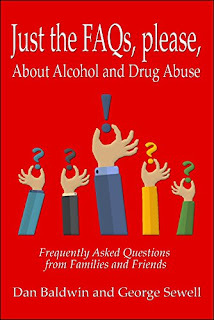 Pleased to announce that the second edition of Just the FAQs, Please, About Alcohol and Drug Abuse by yours truly and Dan Baldwin is now available at Kindle. Print versions coming shortly. You've got questions. Here are the answers. "Interesting, irreverent, and very readable. Just the FAQs, Please is useful for the wide variety of people that pass through our facilities...it answers questions that families consider but do not always verbalize." Administrator of a system of outpatient and residential treatment programs for substance abuse. 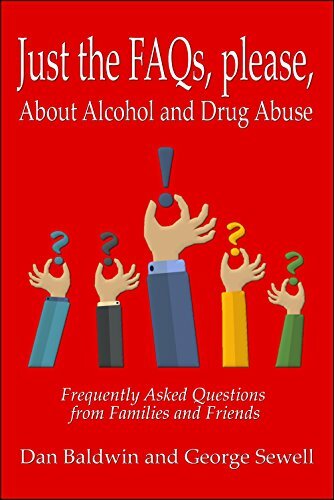 "Written in a refreshing and unpedantic style, Just the FAQs, Please is recommended reading for everyone, especially families, who want to understand more about alcoholism and drug abuse...it is so entertaining that one hardly realilzes that he is also learning something. I was compelled to finish reading in one sitting once I had begun." CEO of a non-profit corporation that provides outpatient and residential treatment for substance abuse, EAP, and adolescent treatment. UPDATE: Now available in print from Amazon.